We’re excited to share the gorgeous new single from Australia via US dream-pop duo The October Solution, taken from their debut album Axis Swim Scar. ‘Stolen’ distills Disintegration-era Cure and 80s pop romanticism into a slice of languid, escapist dream-pop. What’s most striking about this track is its restraint, able to hold the listener rapt, even when it strips back to just the soaring guitar of Drew Sullivan (Slow Dancing Society) and the ethereal vocals of Jarrod Manuel (City of Satellites). The October Solution work within and move beyond familiar tropes to present a defiantly futuristic and progressive vision. 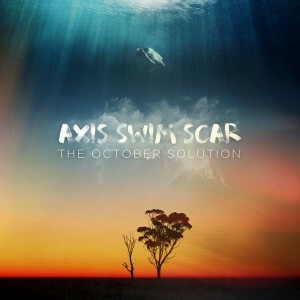 Axis Swim Scar resonates with deftly woven pop melodies, melding the incandescent ambient sounds of Slow Dancing Society within the propulsive songcraft of City of Satellites. Download the song for free via the band’s Bandcamp and be sure to check out Axis Swim Scar while you’re there. ‘Stolen’ is also available for streaming via SoundCloud.